Situated at the corner of Hurontario Street and Eglinton Avenue West, Amber Condos has been a success with homebuyers looking for the convenience of a city centre and the tranquility of the suburbs. 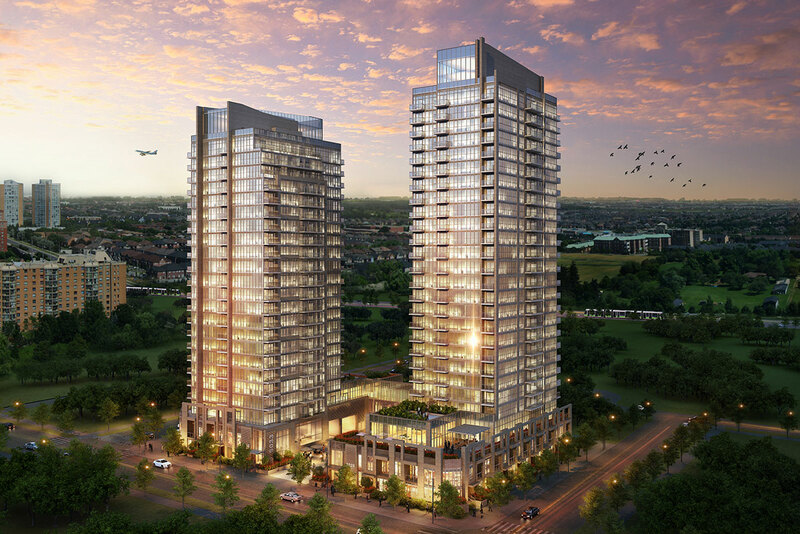 The 445-unit residence by Pinnacle International is part of the Pinnacle Uptown master-planned community and consists of two modern towers rising 26- and 23-storeys above the Mississauga skyline. While the first residents of Amber have already begun moving in, there are still plenty of floorplans to choose from. Designed by the renowned EI Richmond Architects, the towers of Amber Condos boast a modern aesthetic characterized by clean lines, sleek glass balconies and are joined at the base by a multi-storey podium. Like all members of the Uptown community, residents of Amber will be surrounded by abundant green space including a future 15-acre park with a soccer field and pedestrian bridge spanning the Cooksville Creek. Onsite amenities are just as impressive and offer a full array of exercise and leisure activities. The indoor pool and hot tub area guarantee the right swimming conditions all year round and comes complete with a sauna, change rooms and a fully-equipped exercise and yoga room. Those who love to entertain can do so in style in the chic party room with kitchenette, the games room with billiards, or outdoors on the terrace and barbecue area. Other amenities include a library/study space, kids play area and two designer guest suites. Priced from the low-$700,000s, available suites at Amber Condos feature thoughtfully-designed floorplans with open-concept layouts, expansive living spaces and functional kitchens. Upgraded finishes are found throughout including nine-foot ceilings, laminate wood floors in main living areas, and granite or Caesarstone countertops in kitchens and bathrooms. Kitchens are also equipped with a stainless steel appliance package with a dishwasher, counter-depth refrigerator, electric slide-in range and a microwave with a built-in high capacity hood fan. 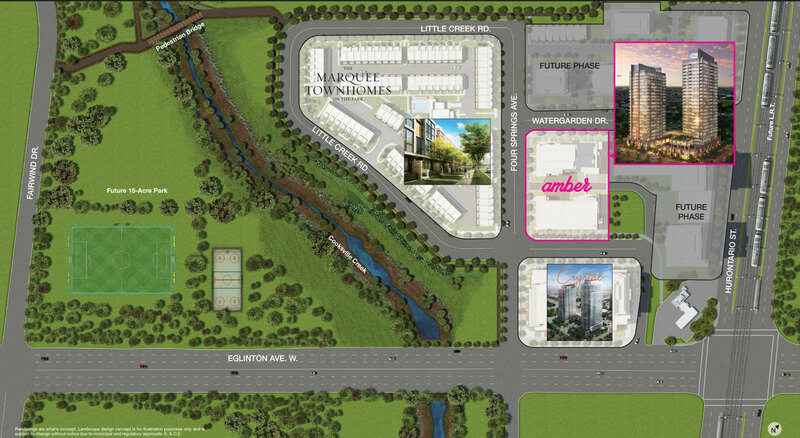 To learn more about Amber Condos, visit the presentation centre located at 5044 Hurontario. Hours are Monday to Thursday from 1pm to 7pm and Friday to Sunday from 12pm to 6pm. For more information call 905 568 9000 or email info@pinnacleuptown.com.